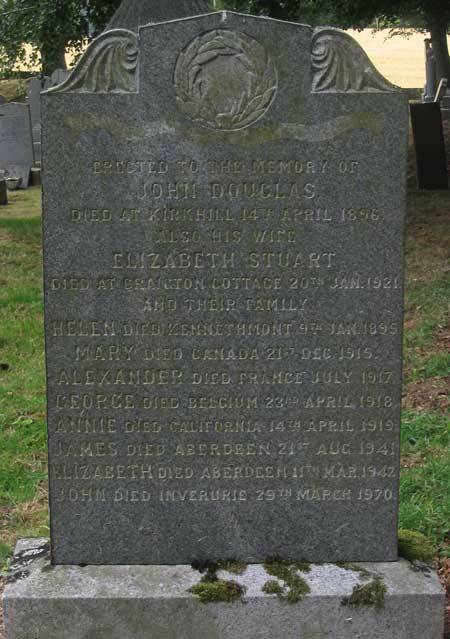 George Douglas , the youngest son of John and Elizabeth Douglas, was born at Kirkhill, Kennethmont on 23rd October 1893. His father, a farm servant at Seggieden, died three years later. 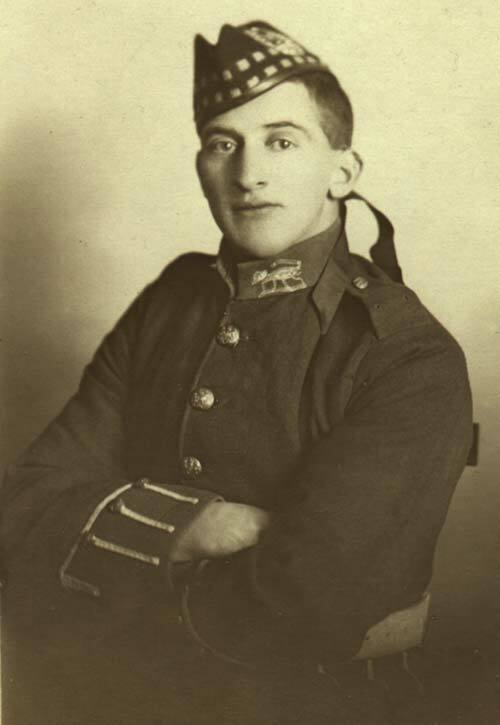 During WW1 George enlisted in the 6th Battalion of the Gordon Highlanders at Huntly. 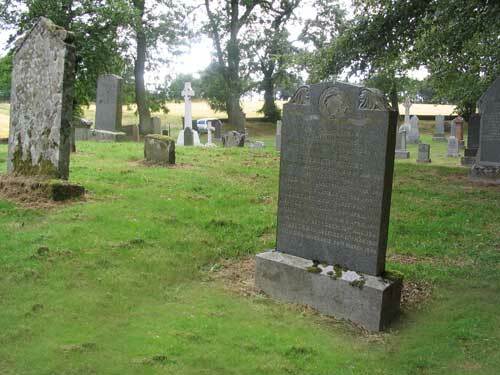 At that time his widowed mother and her four sons were living at Craigton Cottage. All of them were to join up with the Gordon Highlanders. Item from The People's Journal, January 1917. Alexander in 1st Batt, Gordon Highlanders was killed in action on the Somme on 18th July 1916. He has no known grave and is commemorated by name on The Theipval Memorial to the Missing. Brothers James and John both served with the 6th Batt, Gordon Highlanders and survived The Great War of Nations. It is known that George was in the France and Flanders theatre between 1st Jan 1916 and 1st March 1917. On the latter date the Gordon Highlanders service numbers were changed. George previously had the number 12273. The series of numbers 265001-290000 was allocated to 6th Gordons. This confirms that on 1st March 1917 George was with the 6th Battalion. At some point he was posted to the 5th Gordons and was injured with them at Cambrai on 21st Nov 1917 as a member of B Company. If a man moved between Territorial Force battalions in the same regiment he kept the new issue number. This later picture of George was possibly taken around the end of 1916. It is known that at New Year 1917 he was receiving treatment for injuries at Southport Hospital. He must have recieved a " Blighty one " , an injury at Cambrai which saw him invalided back to the UK for treatment, before returning to the front again when he had fully recovered. If is likely he was posted (attached) to the 4th Gordons on his return to the Front. 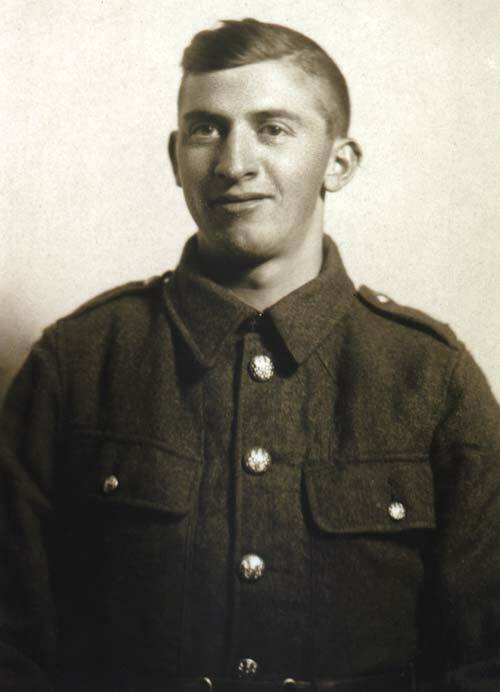 Around the time of his death, from wounds received in action, George's battalion were involved in the Battles in the area of the River Lys, 9th-29th April 1918. The Germans made considerable advances in Flanders in an attempt to gain the important rail junction of Hazebrouck and then on to the Channel ports. This coincided with the German Spring Offensive further south when they overran the former battlefields of the Somme. The 4th Gordons went into action at 4am on 11th April in a section by the La Bassee Canal between Bethune and Locon. The battalion suffered very heavy losses and it was probably during this action that George was wounded and taken prisoner by the Germans before before being moved back along their lines to Tournai. George Douglas is buried in the Allied Extension of Tournai Communal Cemetery. Tournai was occupied by the Germans from the beginning of the war until it was liberated on 8th November 1918. Although it was later extended by relocated burials from a wide area round Tournai it is likely that George died in the Hopital Notre-Dame in the town. It is known that sick and wounded British Prisoners of War were nursed there and burials made in this cemetery. 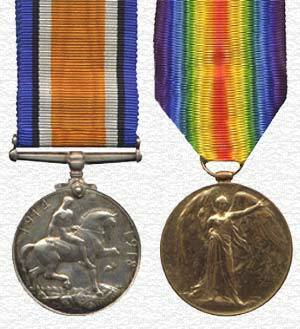 George Douglas was awarded these medals for serving his King and Country in The Great War.